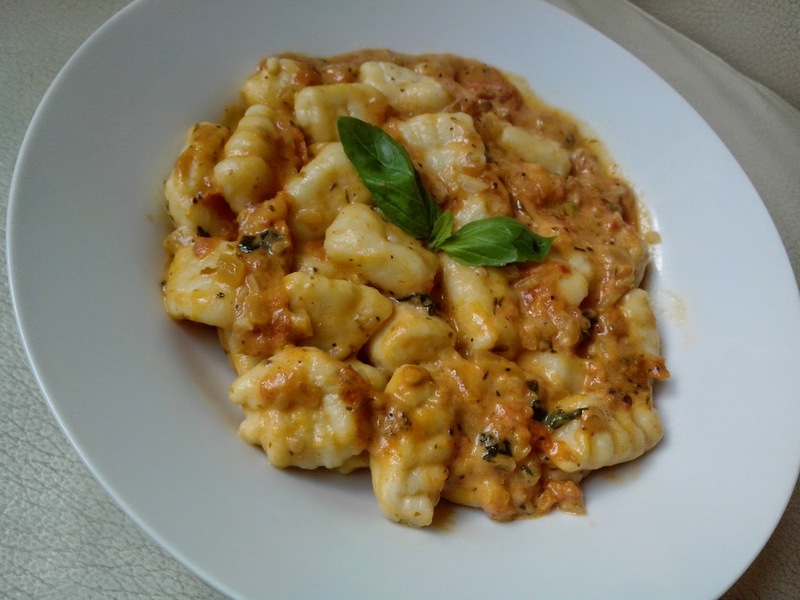 Pavi's Platter: Potato Gnocchi in Creamy Marinara ! 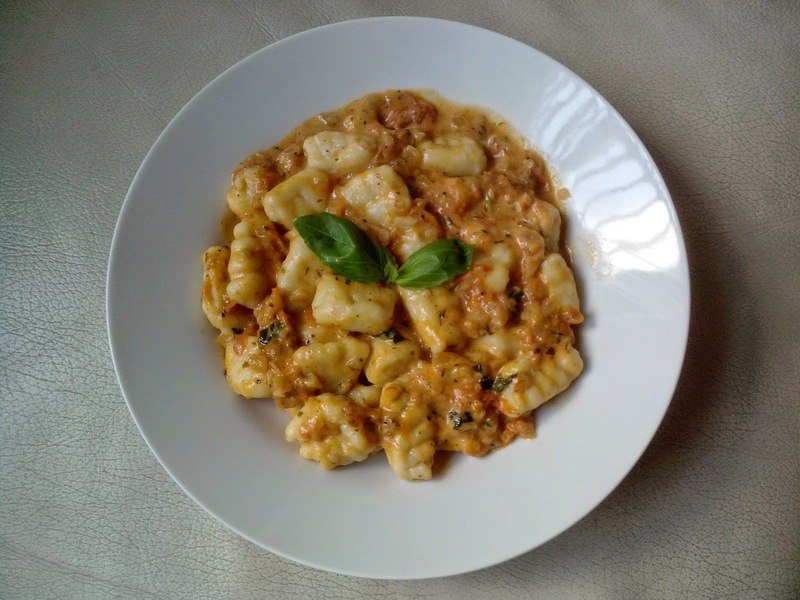 Gnocchis (pronunced nokki) are soft dough dumplings cooked in any of your favourite sauces just like pasta. They are generally made from plain flour, wheat flour, eggs and potato. Cheese can be added optionally and they are mostly knuckle shaped. Boil the potatoes in water. Dont overboil them so that they dont turn mushy and watery, It should be firm enough to grate. Peel the skin and use a grater to grate the potatoes on a working board. Once all the potatoes are grated, let them rest for 5 minutes. Ideally a potato ricer is used to rice the potatoes like this. Meaning making the potato into a form like rice grains. But a grater with small holes will do the job. Then add the egg, grated cheese, salt and garlic powder and give a mix. Keep a tray/plate with a cloth/tissue and spread some flour on it. Now add the flour little at a time to the potato mixture and start mixing . This is really a messy work, the dough is very sticky with potatoes and eggs but using hand results a nice soft dough. Keep adding flour and mix till the potatoes absorb all the flour. You get a slightly sticky dough but similar to our chapati dough. Sprinkle some flour on the surface and also on the dough. Take a small portion of dough and roll into logs as shown in picture. Spread flour generously so that they dont stick to the board or your hands. Now cut the log into small pieces and dust them with flour. 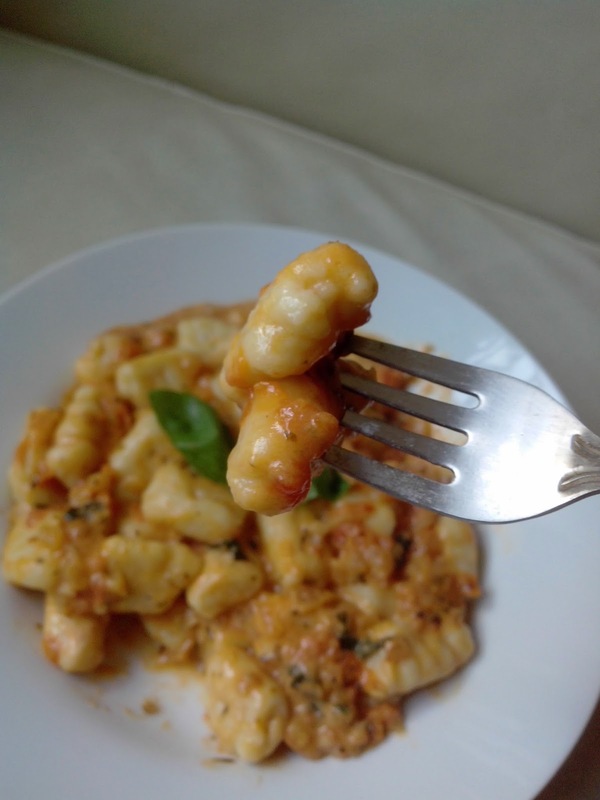 Use a fork and give the shape of gnocchi. Take a piece and roll along the curved part of fork with your plam. This will roll the piece and make stripes on the gnocchi. Do the same with the remaining flour and spread the gnocchis on the tray dusted with flour. Boil lot of water in a big vessel, and when water boils add the gnocchis to it. Within 4- 5 minutes they get cooked and start rising to the top. When they increase in size a little and also start floating then it is time to take them out. When the gnocchis are cooking, we can prepare the marinara sauce. Using Italian chopped tomatoes from can results in very nice and thick reddish sauce. But still you can use the below method with normal tomatoes. Place the tomatoes in boiling water for a minute. Take them out and peel the skin and remove seeds as much as you can, Chop/mash them finely. Heat a pan and add olive oil, and then garlic followed by onions. Marinara sauce is similar to ARabbiata except for the spicyness from the red hot chillis. Once onions start sweating, add the tomatoes. Saute them and let them cook for 3 - 4 minutes. Then add the dried herbs, salt and crushed pepper and give a mix. Add the basil leaves and cook for further 4 - 5 minutes. Add the cream and give a mix. Your creamy marinara is ready. 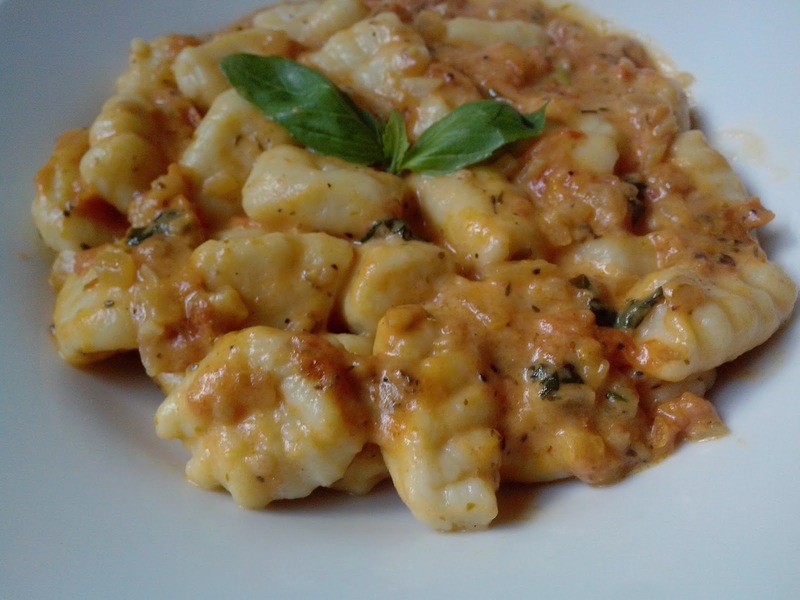 When the gnocchi is cooked then they become shiny, you can see it in below pic. Add the gnocchi to the sauce and mix. Cook for couple of minutes. Happy cooking ! and Buon Appetito ! 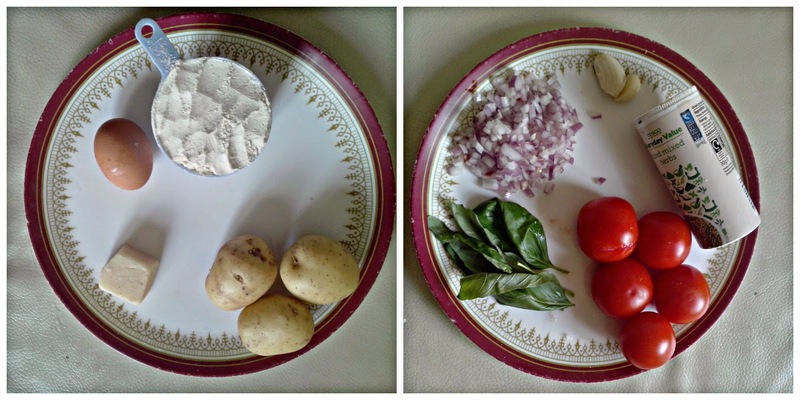 I Am sooooo in love with your blog <3 :D am trying this soon! THanks a lot Aparajita ! Try and let me know. !